Support our site! If you would like to help cover the maintenance and hosting costs for our web site please click the Donate button below. Donations can be made by PayPal, or with a regular credit card if you do not have a PayPal account. 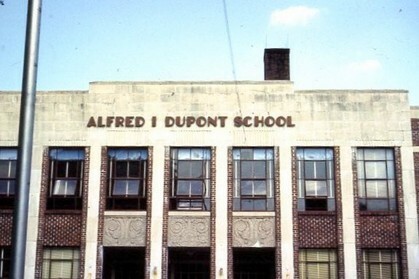 Welcome to the Alfred I. Dupont High School web site. Our site was launched several years ago and was the brainchild of Beverly Hale Callaway, Class of '58. Please review Beverly's comments below. The site has been so successful in bringing together our classmates we are now expanding it to include all graduating classes. It is a great way to re-establish ties with your classmates, not just the few with whom we have been fortunate enough to maintain contact through the years. The Challenge: We will, of course, be sharing the sad news of classmates passing, but we want this to be much more than that. Please, share your ideas regarding things that might become regular features, such as: I Survived…, Where’s Whoever? Or Quarterly Question. Here’s my suggestion for the first question. How many knee replacements do we have in the class? I, personally, know of four, two each for Pat Floyd and Eileen Mitchell. I hope that wasn’t a secret, girls. (You are right. I want this information because I need one myself and I’m a big sissy. It hurts to walk, but I’ll bet it hurts more to have your knee cut open and the joint you have had since before you were born removed.) I’m not saying it is Ms. Bishop’s fault that my knee is bummed out. But considering all that running, stretching, hopping, jogging, twisting, kicking, bouncing, and pounding on concrete – and that was just the warm-up for her class -- I’m not saying it’s not, either. Getting Started: For this effort to succeed, we need you. Your name has been loaded into the database so all you have to do is go to Classmates and click on your name. We will need input from all of you. Update your profile. Enter your address. Send us news. Enter your email addresses. Tell us how you are, where you are, how you got there, how you fill your days, what’s good in your life, what needs the prayerful concern of friends. And don't forgot to upload photos. Basically, send whatever you are willing to share. If you are spending the summer in the South of France, by all means, let us know. However, if a trip to CVS for supplies is the highlight of your week, then join the crowd! And tell us that, too. If you don't want to enter the information in the web site I have an e-mail account set up specifically for this purpose: Dragontracks58@hotmail.com. 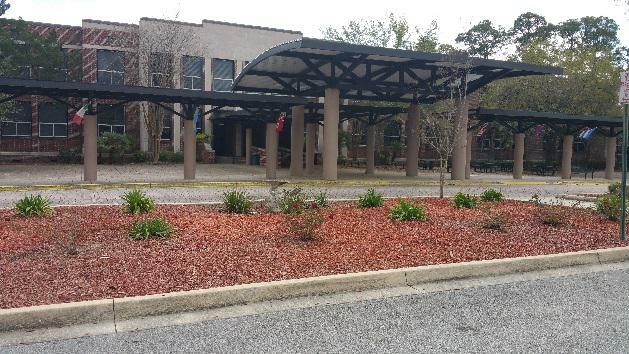 You may also contact Mary Jo Pabst Harrington at mharr17@bellsouth.net or Judy Turner DuBose at jtdubose10@aol.com. We will feed the input to Buzz Stevens at noonedawg@comcast.net. Buzz is our webmaster.